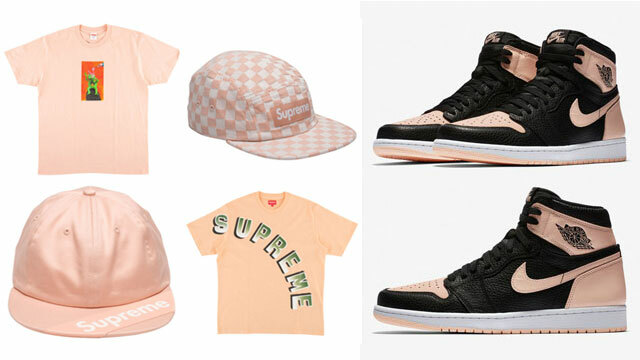 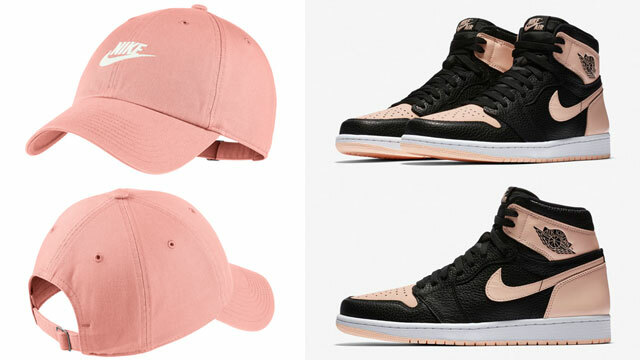 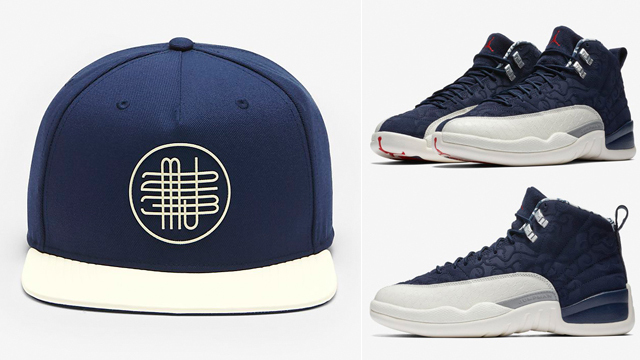 Styled to sync up with the Air Jordan 12 “International Flight” sneakers from head to toe is this Jordan Pro AJ 12 Woven Snapback Cap to hook with the kicks. 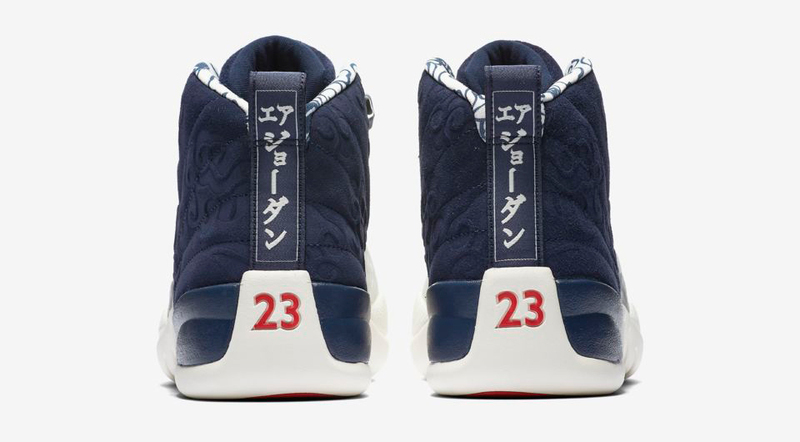 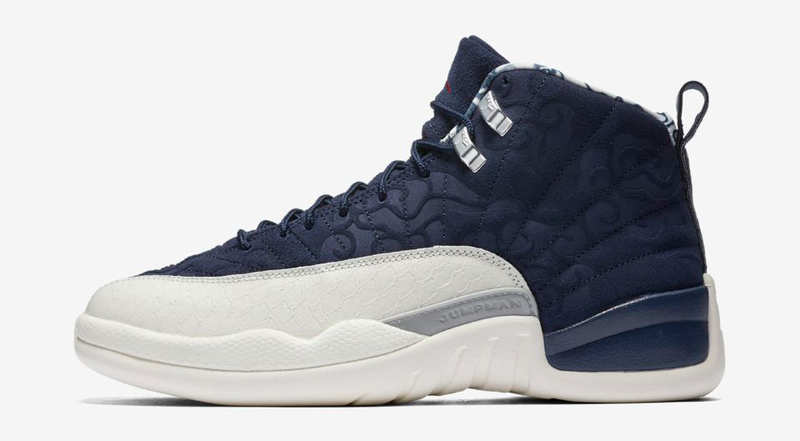 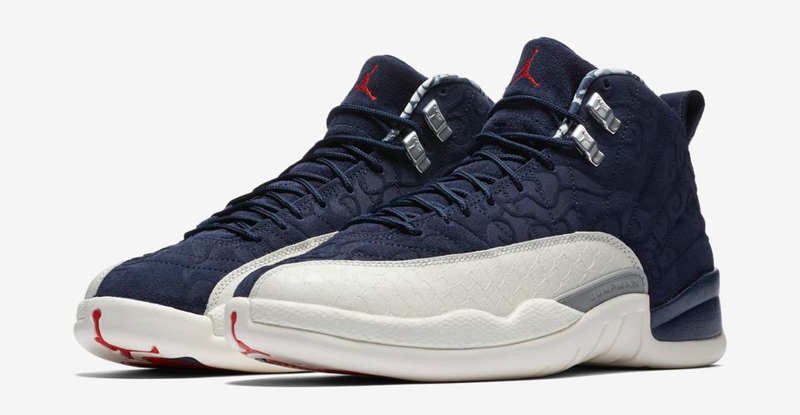 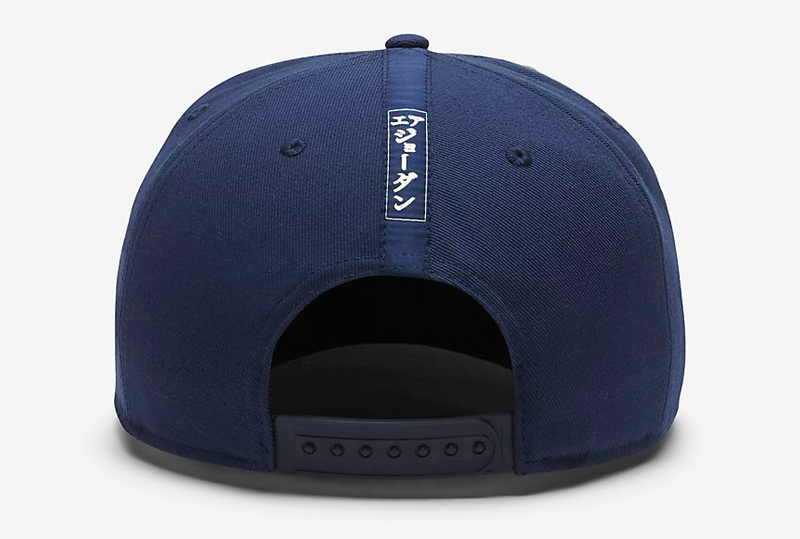 Colored up in the same navy and sail hues to match the AJ 12 Retro shoes, the Jordan Pro AJ 12 Snapback Hat features a front graphic that’s inspired by the sneakers, with kanji characters on the back to match the details on the heels of the shoes, in reference to MJ’s travels to Tokyo on September 12, 1996 for the Hoop Heroes basketball clinic. 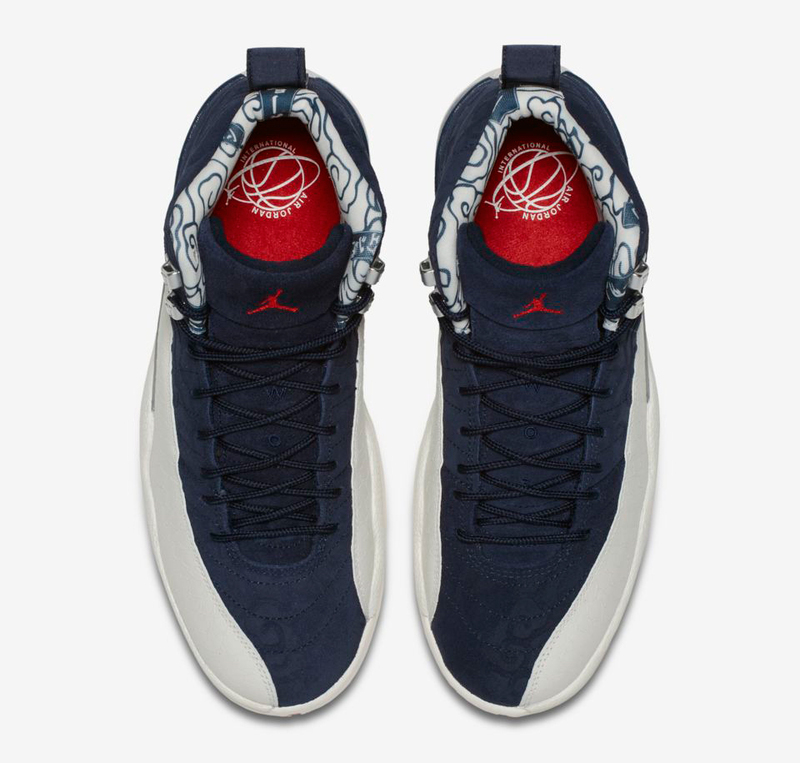 The cap’s off-white leather bill links up with the shoe’s Sail colored sole and accents on the upper, with the words “Quality Inspired by the Greatest Player Ever” featured on the cap’s inside taping to match the graphics on these AJ 12 CNXN T-Shirts. 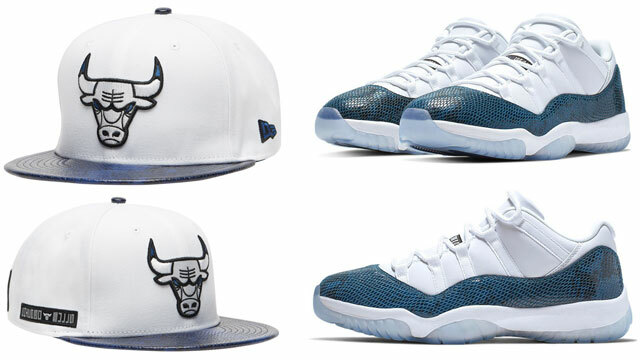 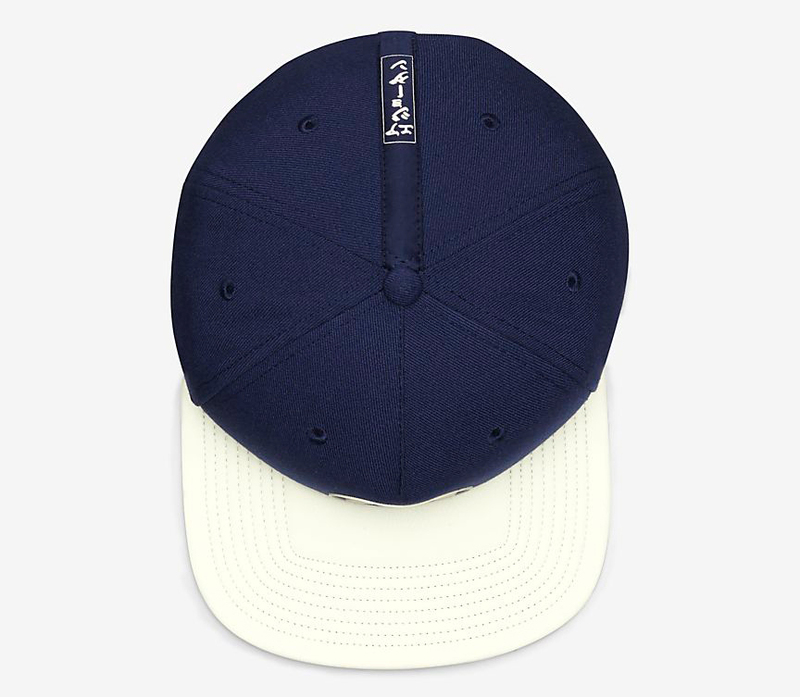 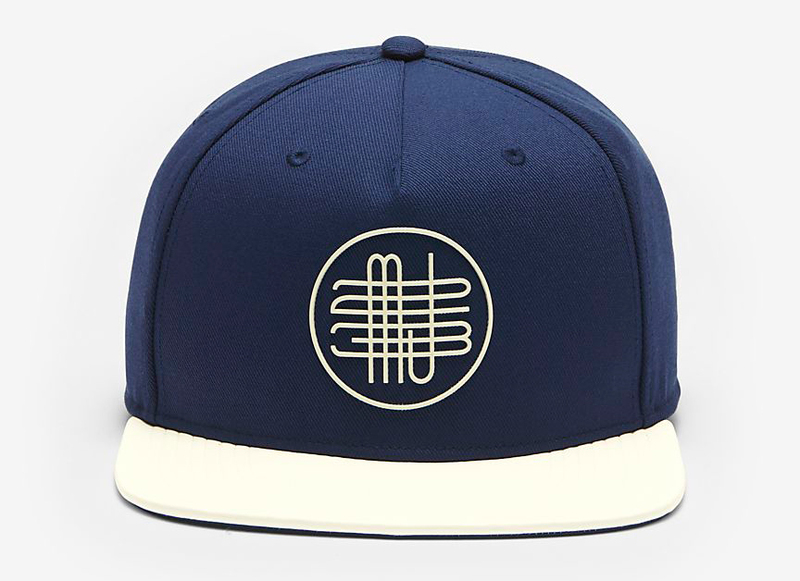 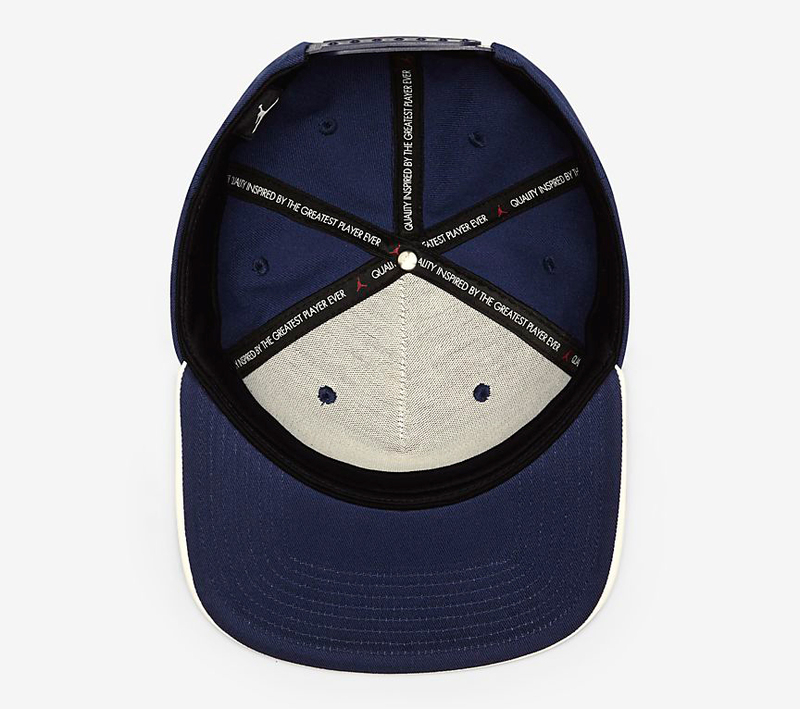 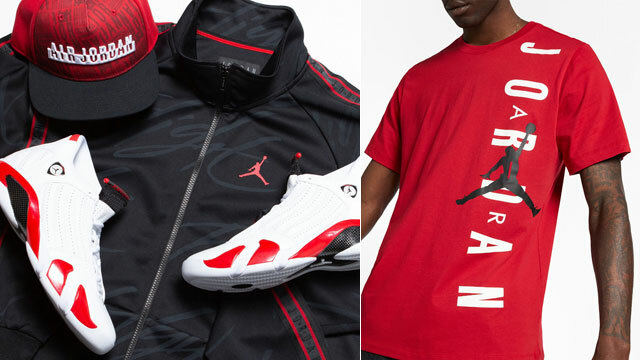 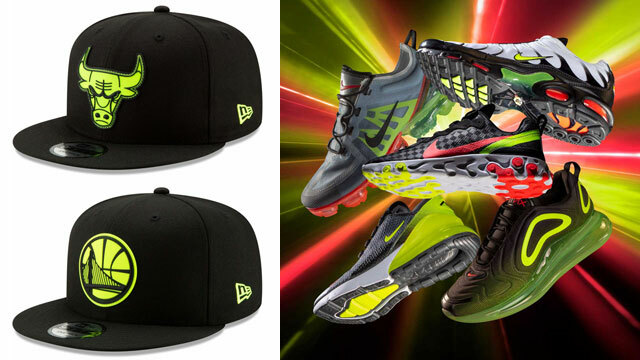 The Jordan Pro AJ 12 Woven Snapback Cap is available at Nike.com.